SAN FRANCISCO, US: Apple's new HomePod speaker may be music to the ears of its loyal fans, but how much it can crank up volume in the smart speaker market remains to be heard. Apple unveiled its long-awaited HomePod at its annual developers' conference taking place this week in the heart of Silicon Valley, enticing lovers of its products with a high-end offering in a market dominated by lower-priced devices from Amazon and Google. Analysts are yet to be convinced that HomePod will rock the smart speaker market the way iPhones came to rule the smartphone world and iPods dominated MP3 players. "If we are comparing this to Apple's past successes, it doesn't fit that model," said analyst Rob Enderle of Enderle Group. "This product is much more of a me-too offering." There was no overwhelming differentiation in HomePod, according to the analyst. But he saw a big negative - it is more expensive. HomePod, infused with machine smarts by Siri digital assistant, will be priced at $349 when it begins shipping in December in the United States, Australia and Britain. HomePod will take on Amazon Echo and Google Home, which have momentum in the arena of voice-controlled speakers capable of controlling smart appliances, fetching content from the internet and more. Amazon sells Echo devices for $179, and smaller "Dot" versions for $50. Google sells Home for $180, promoting the smart speakers with discounts. Apple played up the rich speaker quality of HomePod, and synched it with the company's music service that boasts 27 million subscribers. Apple vice president Phil Schiller said the company's Siri team tuned the virtual assistant as a "musicologist" that learns the tastes of listeners and gets songs from the internet cloud. The speaker has the "power to rock the house," according to Schiller, and the aim is to make HomePod a voice-commanded assistant for news, messages, weather, traffic, home controls and more. "Apple's base should like it, because they are committed to the ecosystem," Enderle said of HomePod. "If you are paying the extra money because Apple is requiring you to do so to access your stuff, that is the Apple tax and it is the kind of thing that people don't like." HomePod combined elements of Echo and Sonos smart speakers, known for rich sound quality, according to Reticle Research principal analyst Ross Rubin. Apple lovers already tend to be "premium product buyers," and may not flinch at paying more for what they believe is a superior quality product, said Gartner analyst Brian Blau. Blau suspected Apple only gave a glimpse at its vision for HomePod, noting its potential to be a command centre for smart houses and to mesh with iPhones, iPads, online services and more. "We have to imagine there is going to be more there," Blau said. "Is it going to be an Echo killer? A Google Home killer? We are going to have to wait and see. Apple is saving some insights into HomePod for later this year when it is expected to unveil a tenth-anniversary edition of the iPhone. 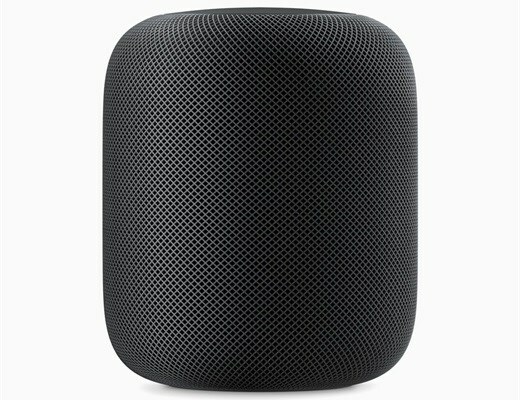 Since HomePod will not hit the market until December, it is unlikely to catch much of the year-end holiday shopping wave and post big sales this year, according to Blau. "I think, over time, they are going to do just fine in this category but it is going to take a while," the analyst said. "I don't think it will be the next iPhone," Blau said of HomePod, "but, Apple could gain share and be a leader." In a blog post, Technalysis Research founder Bob O'Donnell depicted Apple's latest product news as an affirmation that the company has not fallen behind competitors and is working to take advantage of potentially exciting new technologies. But O'Donnell also expressed scepticism on Apple's ability to dominate this new segment. "Yes, some songs may sound pleasing, but for true audiophiles who actually want to hear what the artist and producer intended, Apple's positioning of the HomePod as a super high-quality speaker is going to be a very tough sell," O'Donnell stated.